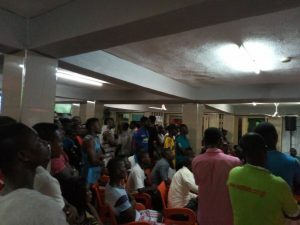 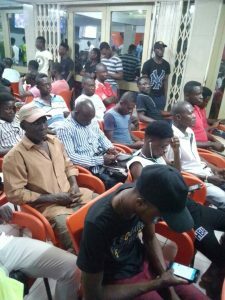 The Happy FM/Supabets UEFA Champions League train continued on Tuesday as football fanatics in and around Teshie Ledzokuku constituency trooped to the Teshie Supabets Sports Centre at Abotsi-Anya, Accra, to witness Manchester United crash out of the competition against Sevilla at Old Trafford. 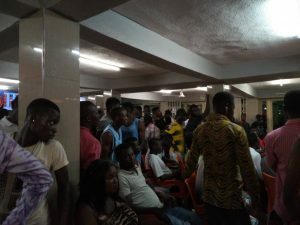 Fans, who stormed the Supabets centre were treated with tactical analyses and blue-chip commentary from the Happy FM crew which included former Ghana U-17 ace Bernard Dong Bortey. The much-talked encounter lived up to its billing as Sevilla produced breathtaking performance and deservedly defeated Manchester United 2-1 at their backyard. Late brace from French striker Wissam Ben Yedder in the 74 and 78th minute respectively condemned the three-time winners to a 2-1 defeat- the Red Devils got their consolation from in-form forward Romelu Lukaku with six minutes left on the clock. 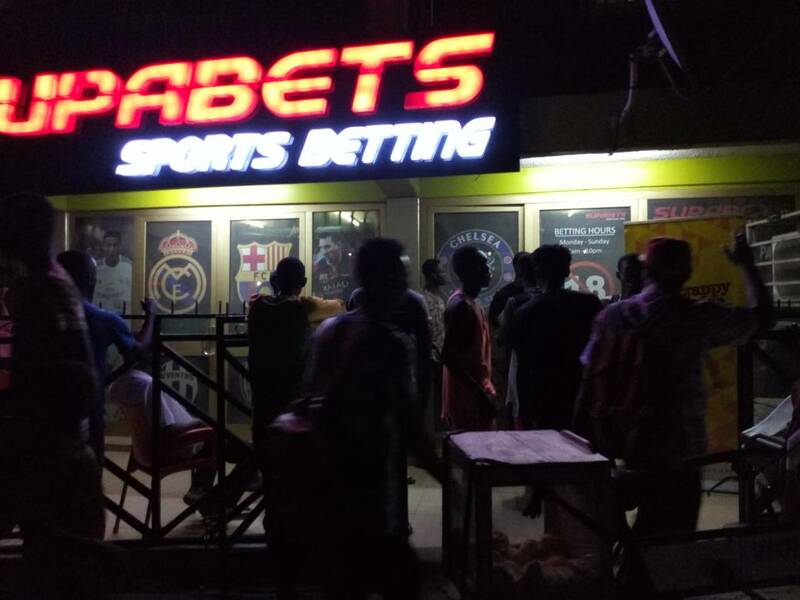 The train continues on Wednesday as Barcelona welcome Chelsea to the Camp Nou at the James Town Supabets Centre.